The American Mountaineering Center is the nation's premiere facility for education, research, conversation and information about the mountain environment. 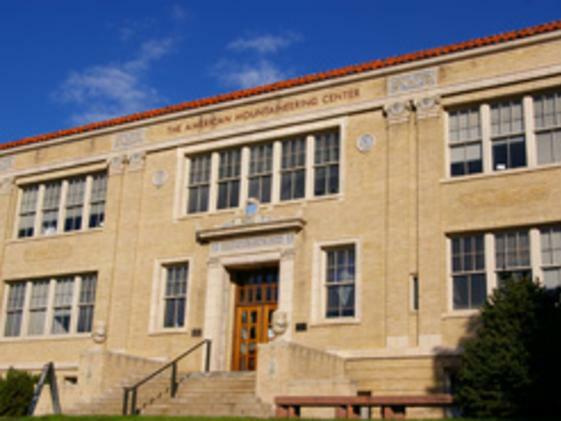 It is also the home of the Colorado Mountain Club, the American Alpine Club and Library and the state-of-the-art Bradford Washburn American Mountaineering Museum. The library in the American Mountaineering Center is the largest mountaineering library in the Western Hemisphere with more than 17 thousand volumes. In addition, the Youth Education Program (YEP) run through the Colorado Mountain Club provides education, learning and experiences for youth. The American Mountaineering Center is home to a variety of rental facilities including a full conference center with kitchen, the 350-seat Foss Auditorium and 2 smaller meeting rooms. Boasting a great location, ample parking, and versatile meeting spaces, the American Mountaineering Center is an event planner's dream. They can handle anything from international conferences and workshops to performances and fundraising dinners, with the ability to customize each space to meet your needs. As the premier space for mountain and outdoor recreation gatherings, your group is sure to be inspired to new heights at the American Mountaineering Center. The American Mountaineering Center is also a beautiful facility for your mountain wedding. If you're looking for a space to host your rehearsal dinner, wedding reception or the ceremony itself, this historic building offers the perfect backdrop for your big day!